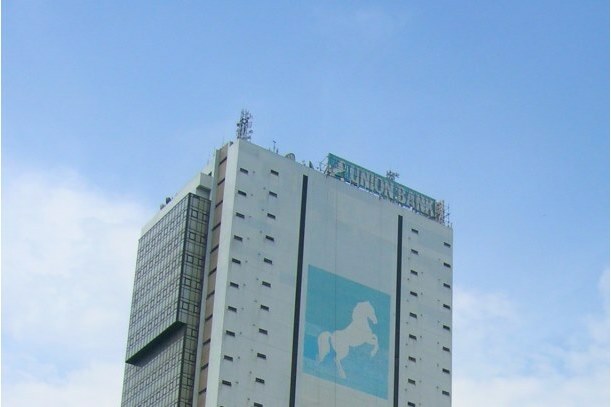 The FMDQ OTC Securities Exchange last week admitted the ₦13.50 billion Union Bank of Nigeria Plc Bonds on its platform. The bonds comprise the Union Bank of Nigeria Plc ₦7.19 billion Series 1 and ₦6.31 billion Series 2 Senior Unsecured Fixed Rate Bonds under its ₦100.00 billion Debt Issuance Programme on its platform. Welcoming guest to the listing ceremony, Associate Executive Director, Corporate Development, FMDQ, Ms. Kaodi Ugoji applauded the issuer for successfully raising ₦13.50 billion from the debt capital markets (DCM). She explained that FMDQ’s listings, quotations service has been tailored to provide a unique opportunity for issuers, governments and corporates alike, to raise the profiles of their issues and access a deep pool of funds from the DCM, thereby meeting their long-term funding needs. Speaking on behalf of the sponsor to the issue and FMDQ Registration Member (Listings), Mr. Kobby Bentsi-Enchill, stated, Stanbic IBTC Capital is pleased to have supported Union Bank with the issuance of the Series 1 & 2 Bonds under the Debt Issuance Programme as well as the listing on FMDQ. “FMDQ has made significant strides with enhancing the liquidity of the DCM, and the listing of the Series 1 & 2 Bonds by Union Bank Plc further provides a competitive investment option for fund managers looking for sustainable returns over and above comparable treasury benchmarks. We are excited to continue a fruitful partnership with FMDQ and Union Bank Plc,” he said. On his part, Managing Director/CEO of FMDQ, Mr. Bola Onadele. Koko congratulated the issuer for successfully raising the bonds, and commended the sponsor to the issue and Registration Member (Listings) of FMDQ, Stanbic IBTC Capital, for its concerted efforts towards ensuring the success of the issuance. Onadele stated that the Nigerian DCM has continued to make essential strides towards its development and the listing of the Union Bank Bonds on FMDQ marks another milestone in the success of the DCM. He further reiterated that FMDQ, through consistent collaboration with its stakeholders, shall continue to further deepen and effectively position the Nigerian DCM for growth, in support of the realisation of a globally competitive and vibrant economy.